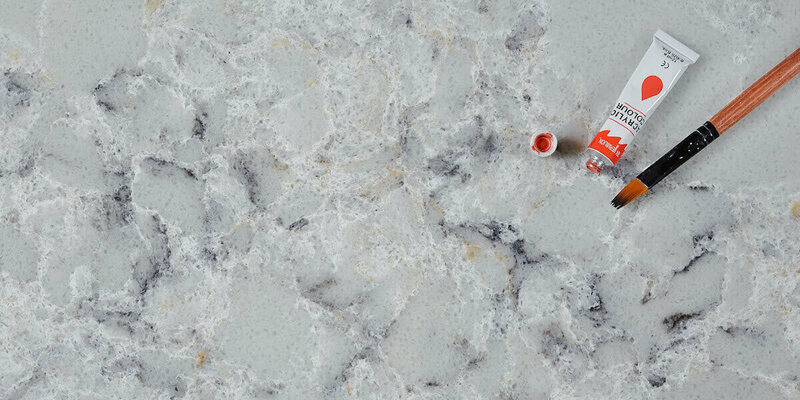 Quartz kitchen countertops needed less maintenance than other natural stone countertops, but with proper care and maintenance, your quartz countertops will last a lifetime. Follow these basic Custom quartz countertops Care & Maintenance guidelines to keep the appearance of your worktops surface in perfect condition and avoid any damaging effects. It is highly recommended that you remain vigilant when it comes to cleaning up spillages of common household items such as tea, coffee, wine, vinegar, fruit juice, cooking sauces etc. It is far easier to clean up these spills when they happen, before they become dried in and stubborn. To clean, use a damp cloth, and if necessary, a small amount of non-bleach, non-abrasive liquid cleaner. then clean the surface with a damp cloth and if necessary a small amount of non-bleach, non-abrasive household cream cleaner. Rinse thoroughly and dry with paper or cloth towels. Avoid using stripping agents, grease removers, caustic soda or products that have a PH value above 10 on GS Quartz countertops surfaces. Do not use solvents that contain dichloromethane, chloromethane or methylene chloride. Dry with paper or cloth towels and for best results wipe and dry in smooth circular motions with a lint free cloth. Whilst your work surface will withstand moderate degrees of heat we recommend the use of pan stands where possible. Do not place objects straight from a heat source, directly onto GS Quartz countertops. Never cut directly onto a work surface and avoid dropping, knocking or rubbing objects on the edges of GS Quartz countertops. Avoid leaving your GS Quartz directly exposed to ultraviolet rays for any prolonged length of time as this can be responsible for fading the color. This entry was posted in Business and tagged cheap quartz worktops, custom quartz countertops, quartz kitchen countertops. Why choose engineered quartz stone?